The Gold Ceremonial Grand Opening Ribbon is the perfect way to symbolize the value of your efforts. 25 or 50 Yards of ribbon in 4 Inch width will give you plenty of material to dress your stage in a truly ceremonial outfit. Every Grand Opening Ceremony calls for a celebration that reflects success and inspires fortune. What better way do both than to cut a Gold Ceremonial Grand Opening Ribbon with a pair of golden ribbon cutting scissors? Being the color of one of the most sought-after precious metals, an extra wide gold tone ribbon is the perfect way to create a lasting impression about your business, even if gold is not part of your business's color schemes. Golden ceremonial ribbon combines quite well with other elegant colors such as black, white, silver, dark purple, burgundy, and red. 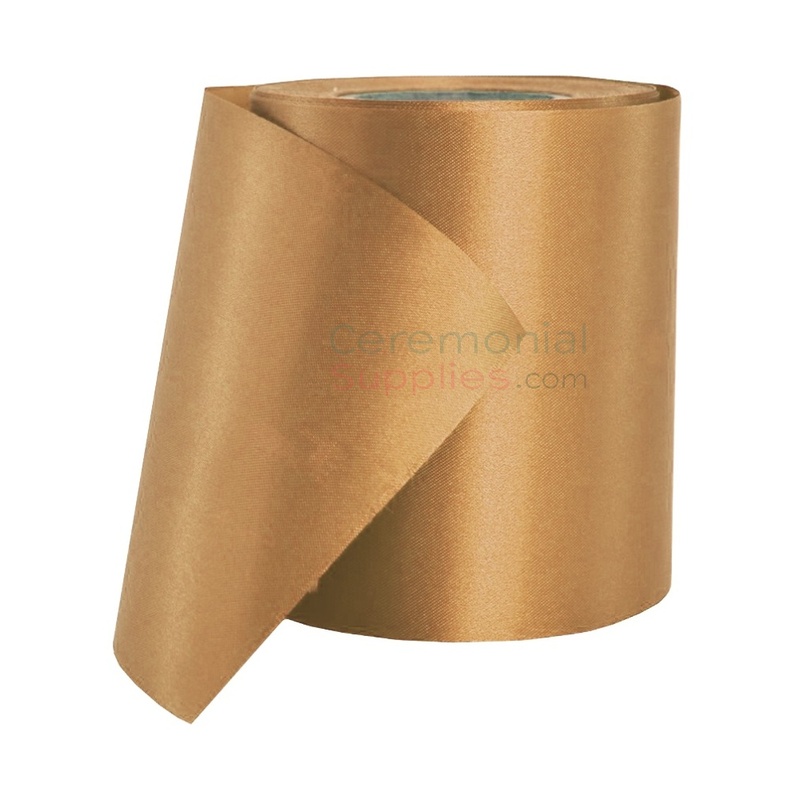 Make use of endless combination to decorate your stage around this prestigious ceremonial ribbon in gold and become the gold standard for ribbon cuttings.